Along with the Apple Watch Series 4, Apple announced Wednesday that watchOS 5 will ship less than a week after the device goes up for preorder. Apple announced Wednesday during its "Gather Round" event in Cupertino that watchOS 5 will ship on Sept. 17. iOS 12 will ship the same day. 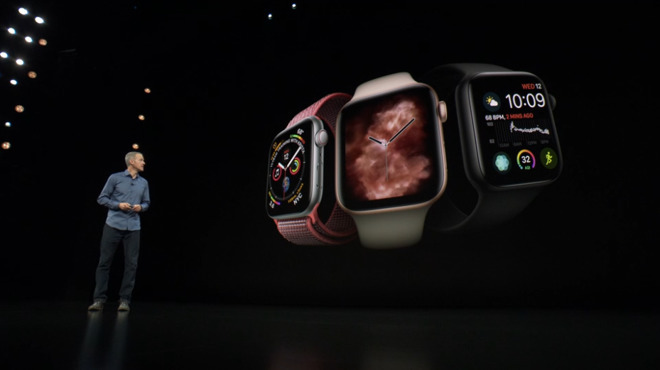 The announcement, from Apple's Jeff Williams, followed the introduction of the redesigned Apple Watch Series 4. Apple also said Thursday that the Series 4 is the first consumer device to receive FDA clearance for ECG monitoring. watchOS 5 was unveiled by Apple at WWDC in June. New features include the arrival of the Podcasts app on the Watch, as well as Raise to Speak and Siri and new fitness features. "Apple Watch Series 4 with watchOS 5 brings advanced activity and communications features, along with revolutionary health capabilities, including a new accelerometer and gyroscope, which are able to detect hard falls, and an electrical heart rate sensor that can take an electrocardiogram (ECG) using the new ECG app,1 which has been granted a De Novo classification by the FDA," the company said in a press release.